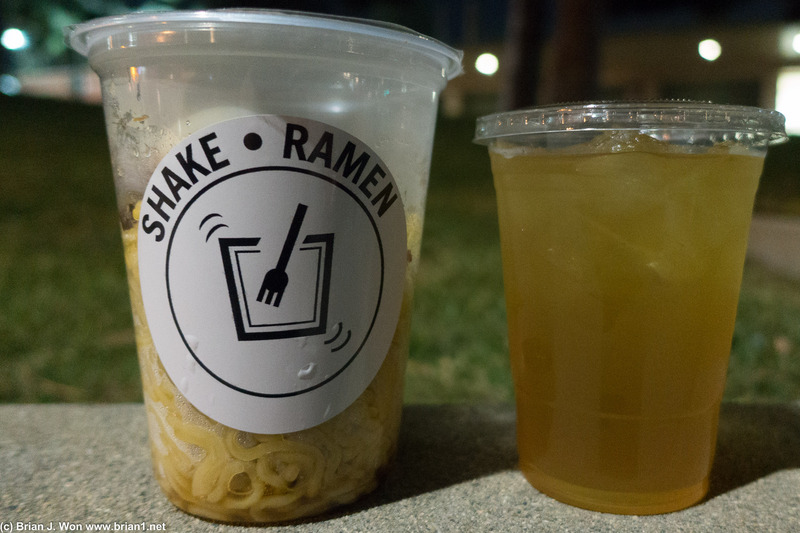 They use the same cups Half and Half uses, only for ramen! 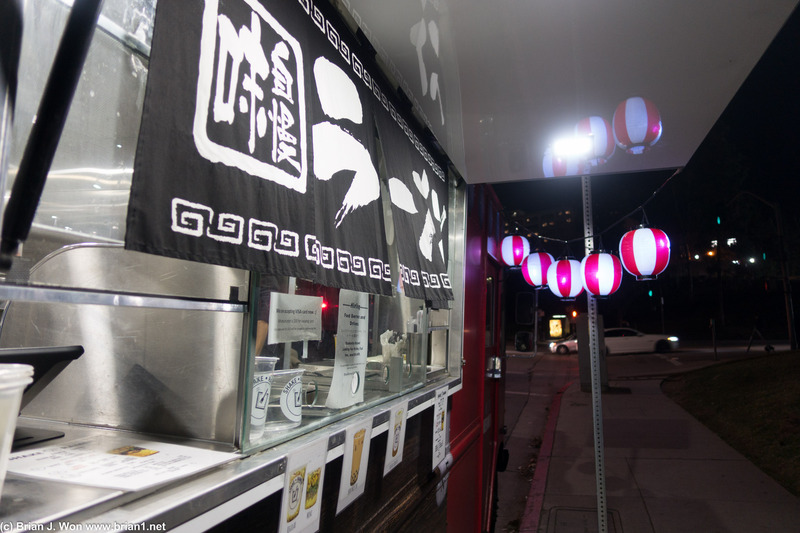 But as gimmicky as ramen in a sealed cup originally for pearl tea sounds, it's not a bad idea-- nice and neat to transport, and only marginally inconvenient to eat the last bits out of, all things considered. Just wish the ramen itself was better. It's average at best. 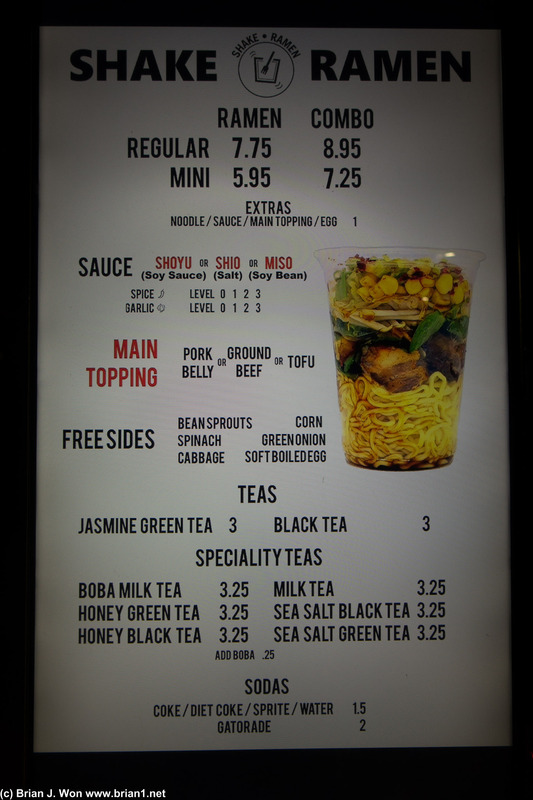 Not much soup base (hot soup base would probably melt the cup), and while they offer all free toppings including pork and an egg, they say you really need to add spinach or beansprouts when picking toppings or else the cup won't be full. I added extra noodles but skipped the bulky veggies (I did get corn) and they were quite correct about the cup not being full. The cold green tea was fairly indifferent as well. 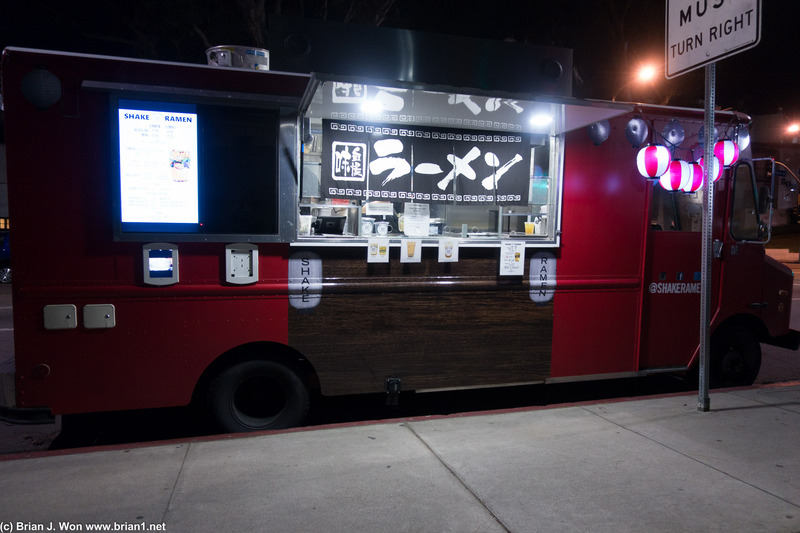 Fun idea, not bad for ramen out of a truck, but not much more than that.